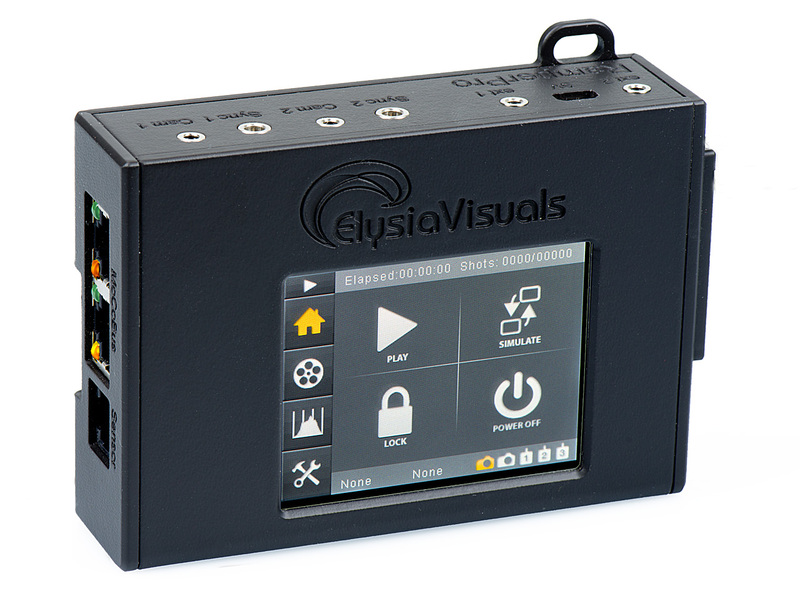 The history of the ElysiaVisuals RamperPro time lapse controller started in 2011. The general consensus at that time was that it is not possible to make good sunset time lapse movies with a Nikon camera. These movies are made by ramping the exposure time of the camera. Its getting darker but the exposure is made longer in small steps which results day to night transitions. The same is true the other way around for sun rises. Classic ramping solutions worked by using bulb ramping. The camera is set to bulb and the bulb time is accurately controlled by the time lapse controller. This gives a limited use because you cannot use fast shutter speeds or bulb times faster than approximately 0.3 seconds. Classic bulb ramping cannot be done with a Nikon because you cannot achieve any desired bulb speeds because Nikon uses discrete steps in bulb. The RamperPro still uses bulb mode to get the best out of your digital Nikon, Canon or any other brand camera. We use three cables to connect a camera in order to get full control. The RamperPro uses a USB cable to control shutter speeds or any other camera settings. The remote connection of your camera is also connected to the RamperPro to trigger the camera. We don't use USB to trigger the camera because this can cause lag. This way the RamperPro can fire the camera very accurately; it can even trigger two camera's at exactly the same time. The third cable to your camera is only needed in bulb mode. The RamperPro uses this cable the accurately measure the exposure time of the camera in bulb mode. The RamperPro can detect if this cable is not available or not connected properly and the controller will show an error message when this is true. The RamperPro offers true automatic exposure ramping. The RamperPro uses an external light sensor that is used to determine the trend in the ambient light. That way the RamperPro can detect if you are shooting a sunset or a sunrise. The light sensor measures the trend in light in minutes per stop. This means that the RamperPro will automatically start ramping during a sunset. The minutes per stop is large (40 minutes) 30 minutes before a sunset and around 10 minutes during the actual sunset. This is very accurately measured by the RamperPro and used in the ramping algorithm. We have added a unique feature that has never been available on a hand-held time lapse controller. The RamperPro can download the actual jpeg images that are shot by the camera. This only works when your camera is set in raw + jpeg. The downloaded jpeg images are then analyzed by the RamperPro. The resulting histogram is used by the ramping software. This way you can never have over exposed images when you are shooting a sunset. The histogram analysis software acts as a hand break when you are accidentally ramping too fast or when the defined end exposure is too bright. RamperPro feature overview from ElysiaVisuals on Vimeo.